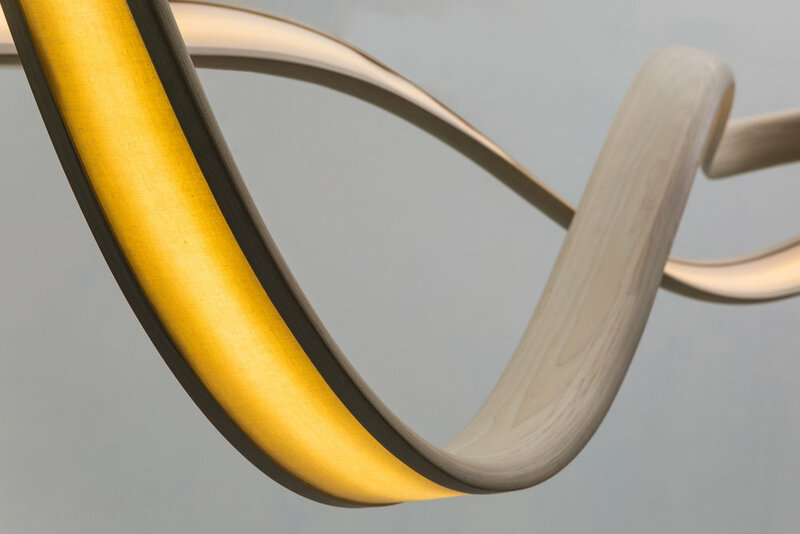 Freeform II Is a streamlined variation of the current aesthetic. 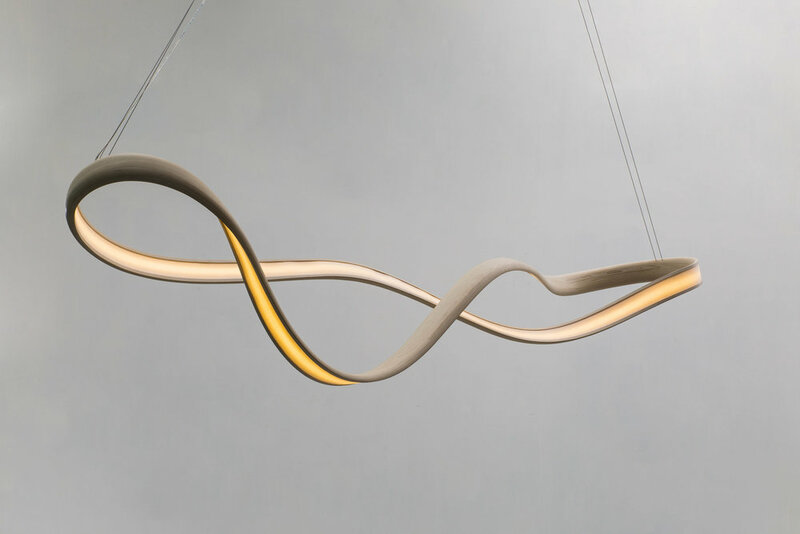 With its subtle undulating curves and expanded scale it provides a formidable presence in any space. Materials: Bleached Ash, LEDs, Cotton fiber.